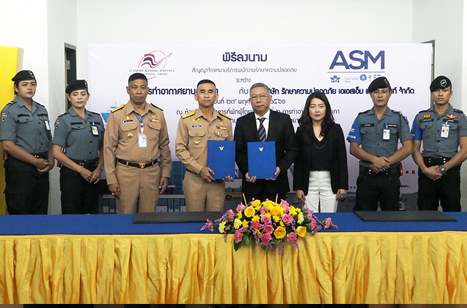 Vice Admiral Luechai Sri-Eamgool General Manager of U-Tapao Airport (4th from left) and Mr. Karn Thongyai (5th from left) Chief Executive Officer of ASM Security Management Company limited signedcontract to operate full security service to the U-Tapao airport. Service quality of ASM has approved by ICAO. 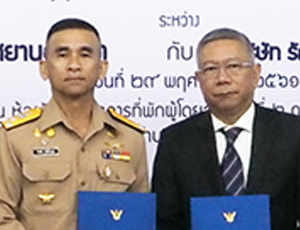 Therefore, this contract can improve airport security system into world standard to support upcoming EEC and economic expansion.